Dairy is one of those foods that is always on the news, half the time they’re saying it is a must have in your diet, and the other half of the time they are telling you to avoid it at all costs. Dairy has been blamed for every type of health ailment from obesity, bone loss and even cancers. Before we rush to the fridge to dump all of our dairy, let’s examine the facts behind the health effects associated with dairy. One major reason why some people avoid dairy products is because they are intolerant of lactose. This means that they do not have an enzyme called lactase, which breaks down the milk sugar otherwise known as lactose. People who lack this enzyme can exhibit a range of symptoms when they consume lactose from indigestion all the way to vomiting and diarrhea. Lactose intolerance is especially prevalent in cultures that are not of European origin. On average globally the rate of lactose intolerance in adults is a whopping 75% compared to the rate of only 15% of those in Europe and the West. When talking about lactose intolerance, it is important to note that there is a distinction between being lactose intolerant and having a milk allergy. The worst thing that will happen to you if you are lactose intolerant is a bad case of gas or worst case scenario you are on the toilet all night. Conversely if you have a milk allergy it is a potentially life threatening situation to where you may have to be hospitalized. The point here is that if you are lactose intolerant, you may be able to alleviate that issue by gradually introducing dairy in to your diet. There are also supplements you can take which contain the enzyme lactase which can digest the lactose for you. Being lactose intolerant doesn’t mean that you have to avoid dairy altogether. Typically those who are lactose intolerant don’t have too much trouble digesting hard cheeses, and cultured yogurt. There have been a few reports as of late that say high consumption of dairy foods correlates with poorer bone health including osteoporosis. Thankfully for us, correlation does not equal causation. The fact of the matter is the diet that people eat in the western world is dramatically different to those eaten in other parts of the world. Take the Chinese for example, who on average have better bone density than their American counterparts. The Chinese eat less dairy than people in America for example, but that doesn’t necessarily mean the bone loss is linked to dairy consumption. There are plenty of other reasonable possibilities as to why American’s have less bone mass than Chinese on average, such as the nutrient poor diet of the average westerner compared to the traditional Chinese diet. So far there have been no conclusive studies that have come out and found that eating dairy leads to less bone density. 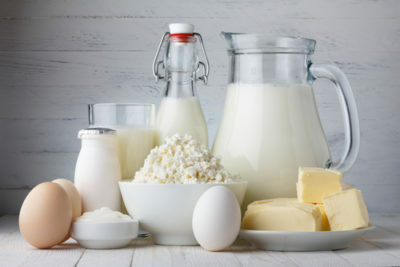 Considering calcium and vitamin D are found in high quantity in many dairy products, you may want to hold off on eliminating diary from your diet. Dairy not only promotes healthy bones, but can help you lose weight as well. This is believed to be attributed to the abundance of calcium found in dairy products, and calcium’s ability to inhibit fat storage and increased lipid breakdown in cells along with magnesium and phosphorus. Not only does dairy promote weight loss, consuming the fatter whole milk varieties may be even more beneficial. 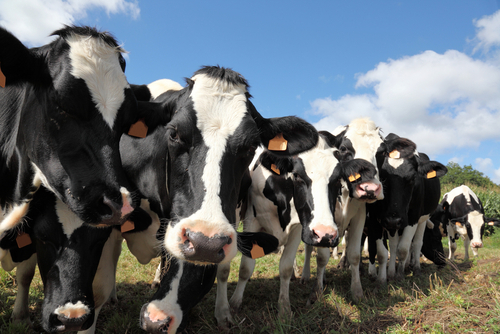 When milk is produced by grass fed cows, the fats within the milk are majority omega 3 fats which are the heart healthy beneficial fats we want in our diet, similar to those found in nuts, seeds and fish oil. The calcium and potassium found in milk help to maintain bone structure and regulate heart beat. Most people are unaware of the role of calcium outside of bone maintenance. Your heart needs calcium and potassium to pump, and will pull the calcium from your bones if there is a deficiency in your blood. 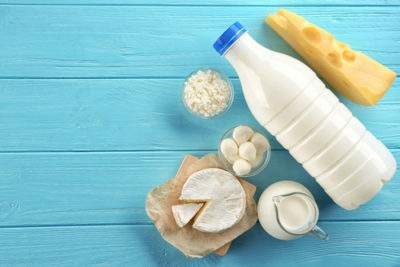 Unless you are severely lactose intolerant or have a milk allergy, dairy products are generally safe to consume and come with a variety of health benefits as well. There has been no evidence to indicate that diary should be eliminated from the human diet, so there really are no reasons to not eat dairy.